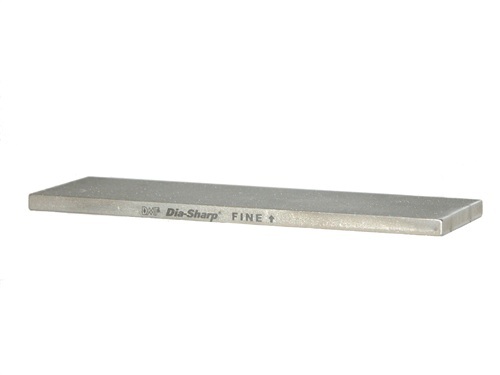 For bench stone applications when versatility is important, but storage is limited, choose DMT®'s 6” Double Sided Dia-Sharp® continuous diamond sharpening bench stone. Two grit options in one stone. For knives, blades and fine tools. Size: 6" x 2" x 1/4". Diamond grit clearly marked on each side of stone. Choose from the following grit combinations: coarse/extra-coarse, fine/coarse, extra-fine/fine or fine/extra-coarse.